Sunset is one of the most peaceful, tranquil and beautiful times of day. 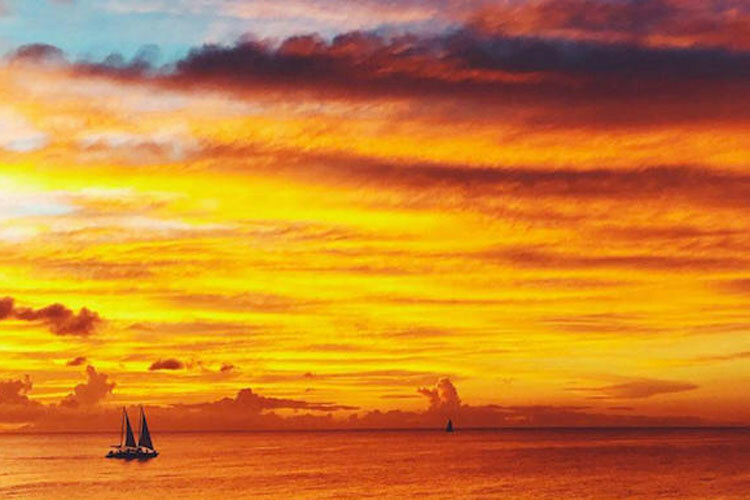 Watching the sky light up in various shades of pink, orange, red and purple is a sight to behold and the Caribbean, particularly Barbados, has some of the most stunning spots to enjoy this magical time of day. Boat International recently published their "10 Best Caribbean Sunset Spots" and listed Crystal Springs villa, Barbados as the number one Caribbean sunset spot! The villa, which is located on the West Coast of the island, was described as showcasing sunsets that are "short but incredibly sweet". To witness the sunset from the best spot in the Caribbean find out more about Crystal Springs villa from the experts at Blue Sky Luxury.